October marks the time in the Northland of nature gatherings. The view from Hawk Ridge marks the flight of hawks south. 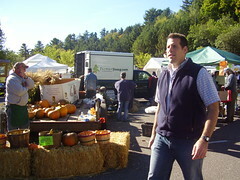 The smell of colored leaves permeates the air, and the bounty of summer’s harvest fills our farmers’ markets. Other gatherings marking this season also occur where vendors, artists, performers mingle with the citizens and vendors in a myriad of the smells and sights of autumn. Such gatherings are either free or charge nominal fees, but they are well worth experiencing. In Duluth, Minnesota it starts with Oktoberfest at Chester Bowl, continues with at Lester Park, and culminates in our neighbor city of Ashland, Wisconsin with Applefest. Be sure to take friends and families to these events, you will be glad you did. QVC has been doing Christmas In July this month, but the best was left for last. A special priced, markdown on the favorite Wii. 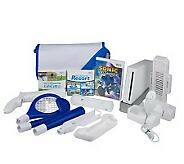 Nintendo Wii Sport Resort w/accessories reg. priced $363.00, clearance priced at $299+sh, on 5 easy pays!. Tip: Get rechargeable battery pack for hours and hours of enjoyment. 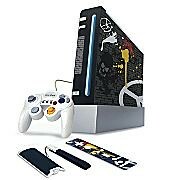 Some Wii systems $20.00 cheaper, no easy pay. Chris Nolan, noted for Memento, The Prestige, and Batman: The Dark Knight, delves into the far recesses of the mind with Inception starring Leonardo DeCaprio. For those who like a visually stimulating, action packed movie with an edge, this movie provides all of that and more. 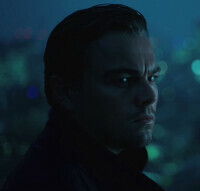 Leonardo DeCaprio as the main leader of a team that accesses their targets’ dreams to acquire secrets buried in the psyche, takes it one step further to plant an idea into the mind of the son of a wealthy energy tycoon, is a tour de force in this role. Like the team, his fellow actors offer strong, independent supportive roles that offer up a dynamic ensemble within the many layers of this movie. Well worth the price of the $10 movie ticket and later buying the DVD to play over and over again. Freebie: Calling All Daves, Davys, Davids! Dave Anderson, founder of Famous Daves, is celebrating his success as a BBQ restauranteur by declaring August 1, 2010 Dave’s Day–A Great Day to be a Dave. If you’re a Dave show up with ID in hand and get a free meal (up to $15) for FREE! This includes takeout. And if your middle name is Dave, you can cash in on an entrée for half price (up to $7.50). Share this with all your Daves, Davids, or Davys! MarkdownMom is circling August 1 on her calendar to take her favorite Dave to Famous Dave’s! Make A Date & Get A Free Movie From Redbox & Facebook! Renting movies has become easier and cheaper. Now for only a $1 a day get the recent releases conveniently located near you. At drugstores, supermarkets, and even some large retailers like WalMart, you will find the Redbox user friendly and now you can try it for FREE from Facebook. On June 21, 2010 get a free rental by going on Facebook. All you have to do is click the “Like” button at the top–easy, peasy. Tip: When you return your movie to the Redbox, make sure that you wait until you get the message: Return Successful; otherwise, someone can come along and take out that movie and you will get charged for it! Ah, tax day–the pain that keeps on giving! But to ease your deflated wallet several merchants are offering special deals and freebies only today. Starbucks. Wake up and smell the coffee and rid your head of that muffled feeling from all those figures and blanks. Bring a reusable drink container to one of the 11,000 locations and get a free fill of coffee! Cinnabon. Okay, tax day bites! But you can’t have coffee without a bit of pastry for that morning repast. Instead you can get 2 free bite size cupcake at their mall bakeries. Plus sound out in their Tax Day Bites essay contest and win a $100 gift card! Dunkin’ Donuts®. Well, we are at the morning coffee break. So get that second cup of coffee at Dunkin’ Donuts--you’ll need it, and a free donut with it. Taco Del Mar. Now it’s lunchtime, so head out to Taco Del Mar for your free taco! Arriba! Subway®. It’s time for that afternoon siesta, but in lieu of that how about taking a break and getting a free cookie of your choice from Subway? You’ll need that extra sugar pick-me-up on this day! Jamba Juice. Need something with your cookie? Download coupon for Jamba Juice’s BOGO sale. Buy one drink and get one free drink free. Coupon good until 4/25/2010. F.P. Chang’s. Oh it’s supper time, it’s supper time! Come on! do you really feel like cooking? Instead go with your fellow sufferer to F.P.Chang’s and get 15% off your meal. Wise old saying: Even a poor man feels better with a full stomach! Maggie Moos. The day is almost passing into a distant memory as you drop-off your taxes last minute at the Post Office. After that bitter experience, tantalize your tastebuds with a free sample of its new MaggieMia’s Ice Cream Pizza. I don’t know how you spell relief, but I spell it I-c-e C-r-e-a-m. Remember you can even let out a little steam; afterall, you scream, I scream–everyone screams for Ice cream!